It’s been a bad day for Brock Osweiler. The Houston Texans, who signed him to a massive four-year, $72 million deal one year ago, traded him to the Cleveland Browns along with a second-round pick this afternoon. Then, in case there was any confusion about just how much nobody wants Brock Osweiler, Browns GM Sashi Brown released this savage own, disguised as a statement. Second-round draft pick! Really excited! Extremely important! (And, oh yeah, uh, Blake Osweiler, looking forward to that.) It could get worse for Osweiler, too, as the Browns are reportedly considering cutting him. 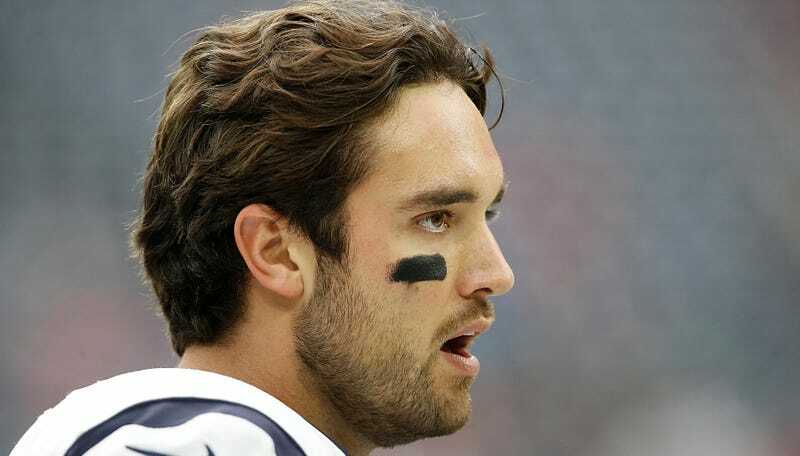 But in the end, Osweiler is still guaranteed $16 million, so don’t feel too bad for him.